Beautiful 4th of July sticker with the motives of a calendar surrounded by balloons and stars. 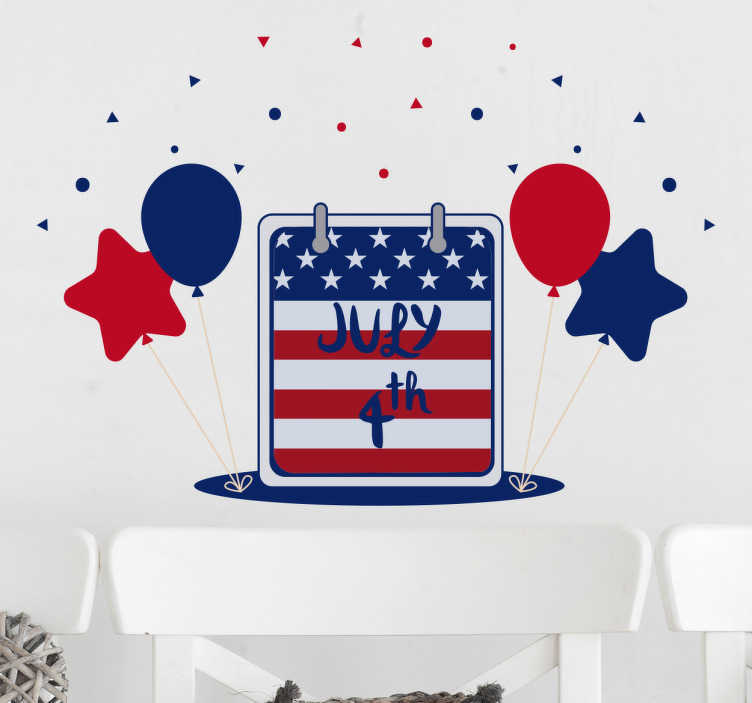 Get into the right mood for this Independency Day with this wall sticker. This decorative sticker is made in the dimension that fit your needs. Produced in high quality vinyl which ensure a long-lasting product.